This is second edition of our newly started feature on trak.in – The Gadget Buzz. TGB brings you the most buzzing Gadget stories of the day. Here is what is buzzing today! Xiaomi, the most valuable startup for the year 2014 has already a majority of market share in many countries. Xiaomi’s upcoming flagship devices i.e. 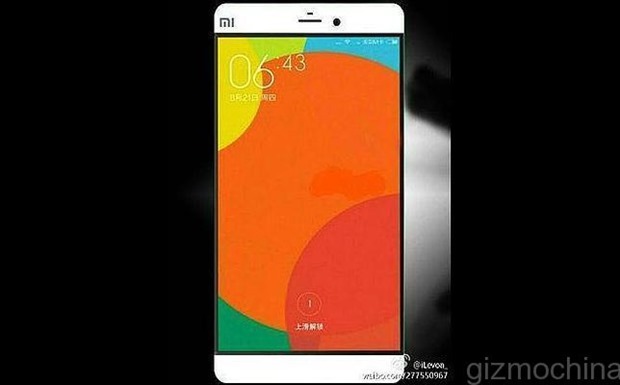 Xiaomi Mi5 and Mi5 Plus have surfaced in a leak online. 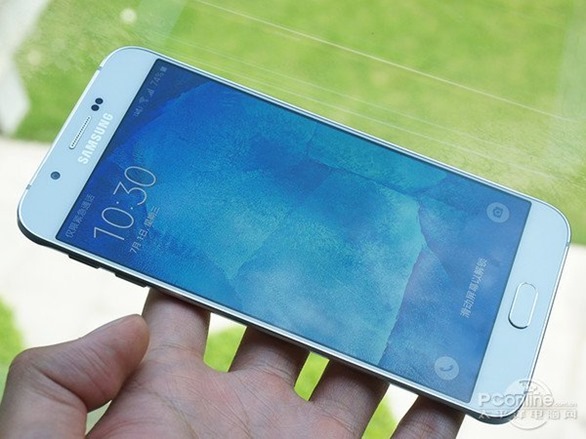 The leak was first reported by GizmoChina, source has revealed that the flagship device i.e. Mi5 will come with a 5.2 inch 2K LCD front panel apart from this, the phone will come with a Snapdragon 810 SoC which will be coupled up with a 4 gigs of RAM. In the camera department, Mi5 will feature a 16 megapixel primary shooter along with a whooping 13 megapixel sensor on the front! Alongside this, the phone will come with a 3,000 mAh battery with fast charging! As far as software is concerned the device will come with MIUI 7 out of the box. If pricing is concerned the phone will be priced around Rs. 24,500 in India. Xiaomi Mi5 Plus will arrive with a huge 5.7-inch 2K display with Gorilla Glass 4 on the front. According to source, the phone will feature a full metal body as well. The phone will come with Snapdragon 820 SoC with 4 gigs of RAM. On camera front the device will feature an insane 23 megapixel primary shooter along with a 12 megapixel sensor on the front! Mi5 Plus is said to arrive with an in-built fingerprint reader for biometric security level. A 3,500 mAh battery could be the powerhouse of the phone! Mi5 Plus could be priced around Rs. 30,500 in India according to the source. 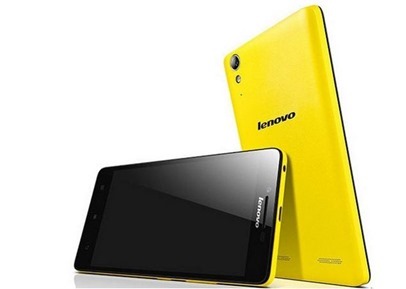 Lenovo’s K3 Note which is a 4G enabled phablet has received a stupendous half a million registrations for today’s flash sale on Flipkart, as revealed by Lenovo itself. The phone packs some really good specs like 5.5 inch 1080p full HD display, 1.7 GHz Mediatek octa-core 64 bit processor geared up with 2 gigs of RAM. Phones come with 16 gigs of internal storage with SD card support as well. A 13 megapixel sensor on the back and 5 megapixel sensor on the front makes it a great choice for people concerned about camera. 4G connectivity at such less price and availability of Dolby Atmos sound technology are the talking points of the phone. If you are interested in the phone, make sure you register for the next sale here. Apple Watch, one of the most anticipated and talked product from Apple. As per Phonearena, Apple has sold about 2.8 million units of the watch from April to June 2015. 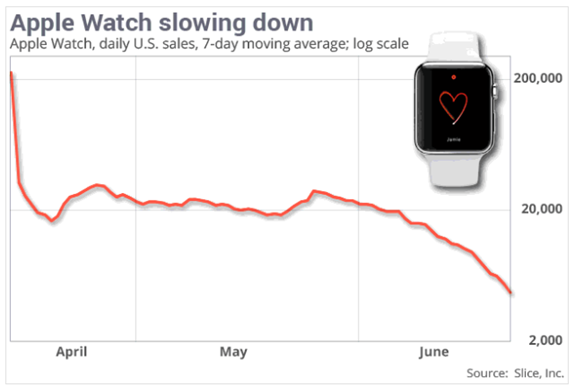 But, after that the reports suggest that sale of Apple watch has declined by 90% which is really surprising! Slice Intelligence, has revealed that only about 20,000 units of Apple watch are being sold every day in USA and out of which Apple Watch Sport tops the chart! The premium Apple Watch made out of 18 karat gold is the lowest in the list with just 2,000 units sold till now! Samsung Galaxy A8, photos of the fully manufactured device from Samsung have surfaced online which clearly shows the bezel less design of the upcoming Smartphone from the Korean manufacturer. Some of the revealed specs are 5.7 inch 1080p AMOLED display, Snapdragon 615 SoC with Adreno 405 GPU, 2 gigs of RAM, 16 gigs internal memory, 16 MP primary shooter, 5 MP secondary shooter, 4G supported, Fingerprint reader and a huge 3,000 mAh battery pack as well. Can you share the pricing of these products? And whether it is cheaper to buy in India or in other places like in US, UK.